Posted March 19th, 2010 at 10:45 am. International prize-winning violinist José Blumenschein, cellist Efe Baltacigil, and pianist Benjamin Hochman will be featured in Beethoven’s beloved, but seldom-performed “Triple Concerto” when the Great Hall Chamber Orchestra plays at Bryn Mawr College’s Thomas Great Hall on Friday, March 26, at 8 p.m.
Tickets are $18 general admission, and free for students. Early seating is recommended. For reservations call (610) 526-5332 or e-mail lkirschn@brynmawr.edu. Visit the Bryn Mawr College Web site and click on the “Visitors” link for directions to campus and a campus map. The program will also include Carl Maria Von Weber’s spirited “Silvana” Overture and Franz Schubert Symphony number 9, known as “The Great” symphony. The Great Hall Chamber Orchestra at Bryn Mawr is composed of 38 of the area’s finest young professional and conservatory musicians, performing under the direction of founding artistic director and conductor Michael Krausz, the Milton C. Nahm Professor of Philosophy at Bryn Mawr College. Lecturer Michael Johns will present a preconcert lecture titled “How to Be an Active Listener” at 7 p.m. in Thomas Hall, Room 110. José Blumenschein is the associate concertmaster of the Philadelphia Orchestra. Born in 1985, Blumenschein received his first violin lesson at the age of four in Freiburg, Germany. At the Curtis Institute of Music, he studied with violinist and conductor Joseph Silverstein. Blumenschein is the winner of numerous international violin competitions. He has appeared as a soloist in Germany, France, Italy, Brazil, and the United States, including performances with the Brazilian Symphony in Rio de Janeiro, the Symphony Orchestra of the Claudio Santoro National Theater in Brazil, and the Baden-Baden Philharmonic in Germany. Blumenschein is a founding member of the Vertigo String Quartet, which was awarded first prize at the International Competition of the Duchi d’Acquaviva in Italy in 2006. Efe Baltacigil is the associate principal cellist of the Philadelphia Orchestra. Born in Istanbul, Turkey, he began studying cello at the age of seven, and received his bachelor’s degree from Istanbul’s Conservatory in 1998. He was awarded a Jacqueline DuPre Scholarship from The Curtis Institute of Music, where he pursued cello studies with Peter Wiley and David Soyer. He graduated in 2002. A winner of the 2005 Young Concert Artists International Auditions, Baltacigil made his debuts at Carnegie’s Zankel Hall and at the Kennedy Center. In 2007 he made his Carnegie Hall concerto debut, then performed at major venues in London, Brussels, Athens, Birmingham, Luxembourg, Vienna, Cologne, Amsterdam, Stockholm, and Baden-Baden. Baltacigil has performed at the Gardner Museum in Boston and the Philadelphia Chamber Music Society, and he performs regularly as a member of Lincoln Center’s Chamber Music Society Two. He has toured with Musicians from Marlboro and has appeared in Richard Goode’s Perspectives Series at Carnegie Hall. Baltacigil has performed with Pinchas Zukerman, Emanuel Ax, and Yo-Yo Ma, among other collaborators. Born in Jerusalem, pianist Benjamin Hochman began his studies with Esther Narkiss at the Conservatory of the Rubin Academy in Jerusalem and Emanuel Krasovsky in Tel Aviv. He is a graduate of the Curtis Institute of Music and the Mannes College of Music, where his principal teachers were Claude Frank and Richard Goode. Hochman has performed with the New York and the Israel Philharmonic; the Chicago, Pittsburgh, American and Cincinnati Symphony Orchestras; Seattle, Vancouver, New Jersey and Portland Symphonies; and the National Arts Centre Orchestra in Canada. Further performances include those with the San Francisco Symphony, the Pittsburgh, Knoxville, Wheeling, and New Jersey Symphony Orchestras; the Fort Wayne and Erie Philharmonic orchestras, and the Atlantic Festival Orchestra. He has presented at such major international halls as the Concertgebouw, the Louvre, Tivoli Theatre, l’Auditori de Barcelona, Suntory Hall in Tokyo, and Kumho Art Hall in Seoul. Hochman has collaborated with the Mendelssohn, Casals, Prazak, Daedalus, and Tokyo String Quartets; the Zukerman Chamber Players; members of the Guarneri and Orion Quartets; and with Jaime Laredo, Sharon Robinson, Cho-Liang Lin, Ani Kavafian, and Ralph Kirshbaum. Michael Johns, lecturer and French hornist, holds a doctorate in Musical Arts from Temple University. He has recorded and toured nationally and internationally with the Philadelphia Orchestra, Boston Symphony Orchestra, and the Orpheus Chamber Orchestra. Johns is currently on the faculties of Temple University and Swarthmore College. Conductor Michael Krausz studied violin with Cleveland Orchestra concertmaster and pedagogue Josef Gingold. He received his early conducting coaching from his late father, Laszlo Krausz, noted violist with l’Orchestre de la Suisse Romande and the Cleveland Orchestra. Krausz was also coached by Frederik Prausnitz at the Peabody Conservatory, and by Luis Biava, Resident Conductor of the Philadelphia Orchestra. 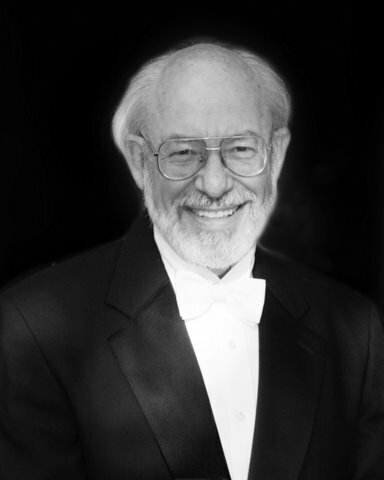 In 1984 he founded and served as Associate Artistic Director of the Philadelphia Chamber Orchestra, composed of members of the Philadelphia Orchestra. He has been guest conductor of professional orchestras in Bulgaria, including the Pleven, Vratsa and Plovdiv Philharmonic Orchestras. Krausz is the Milton C. Nahm Professor of Philosophy at Bryn Mawr College. He also teaches Aesthetics at the Curtis Institute of Music.